So you’re ready to take your interests/hobbies/skills to the next level and become an expert? Or maybe you’ve identified some new business skills that would serve you well professionally? Either way, I firmly believe that everyone is an expert in something. Whether your expertise lies in front-end development, the mating rituals of sea monkeys or the ability to fry a perfect flapjack, seeking recognition for your expertise is key to finding a pathway to success by doing the thing you love. I have made the case that it’s better to be considered an expert than a generalist, at least when your employment depends on it. So let’s dive in! The label, “Expert” doesn’t require a Ph.D. There is no ceremony where some cult of experts gives you a certificate. “Expert” is a nebulous label that is largely influenced by perception. You become an expert when you are perceived as an expert. However, the so-called “expert” will quickly be perceived as a conman if he is unable to prove his expertise. Therefore, the expert is a mix between public perception and deep knowledge. To become an expert, you have to build both. 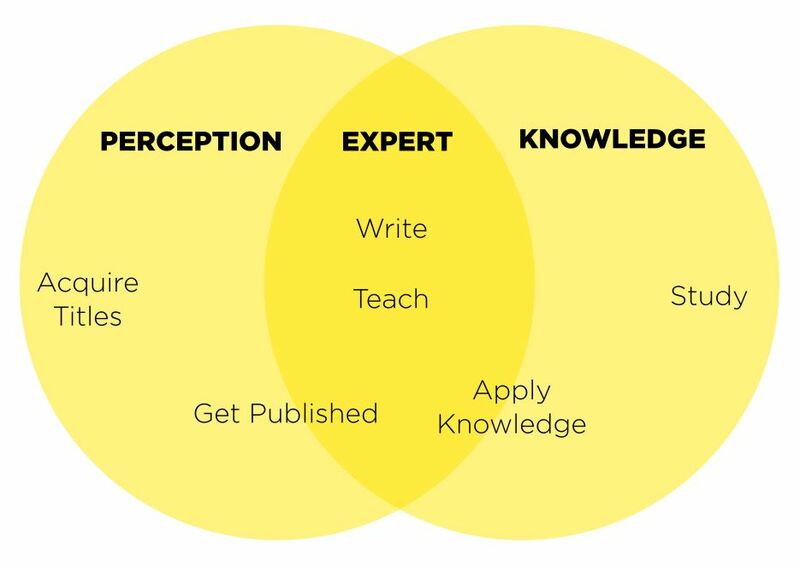 Luckily, as the diagram shows, we can focus on the overlap between building deep knowledge and crafting public perception to quickly become an expert at anything. If you’re starting fresh, begin by building your knowledge on the subject. Take classes, read books by other experts, find courses online – do anything to build your knowledge on the subject. For technical skills, I recommend LinkedIn Learning courses. For subjects, identify three books written by experts and take a week to read all of them. While you can build your knowledge by studying, that knowledge is quite superficial until you can apply it. By applying your knowledge, you’ll find and fill the gaps in your learning while building your experience. Novices read, experts write. Writing forces you to summarize your knowledge and solidify your own thoughts and beliefs. Summarize the books you’ve read. Write about how you have applied your knowledge. What did you learn? As you build your knowledge, you start to identify what’s missing from the public lexicon and fill in the gaps with your own writing. That’s called becoming a thought-leader! While Ph. D. and M.D. 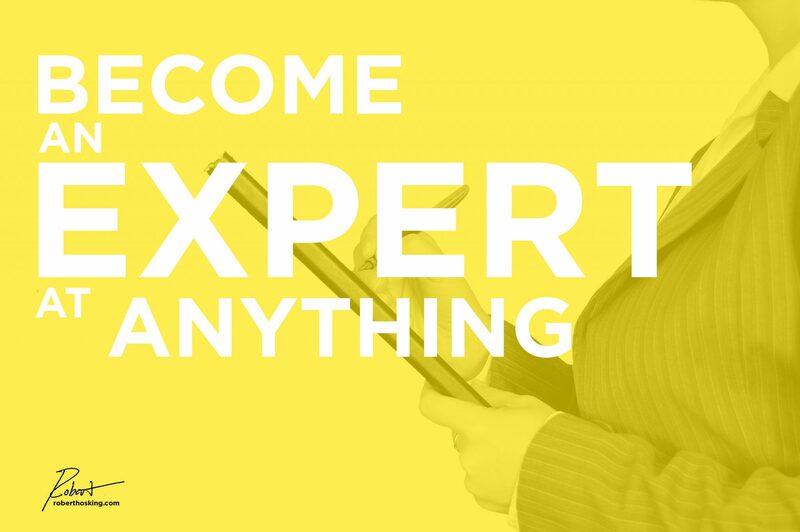 are titles that will instantly make anyone appear to be an expert, those titles are expensive, selective, and time-consuming. Luckily, there are a host of other titles you can own for a few hundred bucks and 5-minutes. Identify a handful of organizations with official-sounding names and become a member of each. So far you’re just someone with a blog and a few titles. It’s time to start putting those titles to work and get some recognition. Give a free 1-3 hour seminar at the nearest well-known university. Make it clear that you’re not selling anything, you just want to share your knowledge and gain speaking experience. Record yourself from two angles and make a shareable video. Offer to write articles for trade magazines and blogs. Cite your experience giving seminars and use those titles! The goal is to get your name listed as author or contributor in some significant publications. Join ProfNet, an online service that connects journalists with experts. If done properly, with some well-used sales techniques, you could be featured in media ranging from the New York Times to ABC. The rest is up to you! 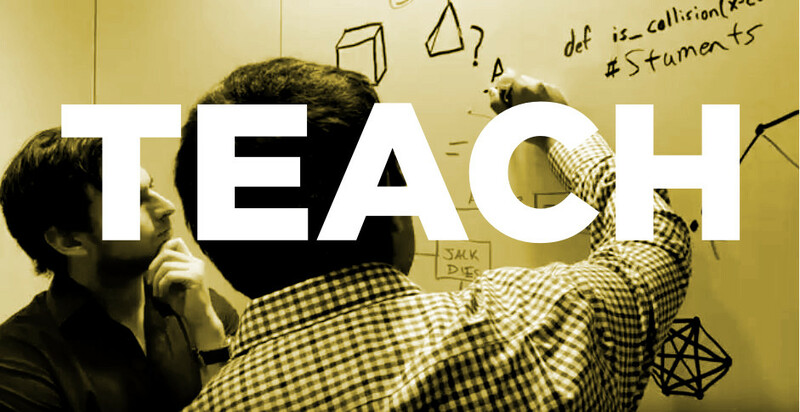 Build deeper expertise, take on some related subjects, or something totally new! Remember that this is about presenting the truth in the best possible light — not fabricating it. As long as your claims of expertise are based in reality, this method is all about superior positioning. If you found this useful, consider sharing it so others can find it too. Help others make their expertise known! 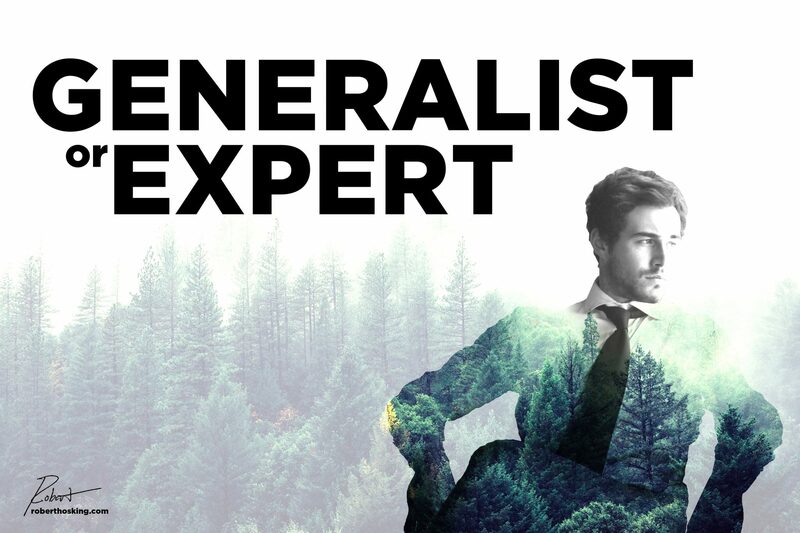 Generalist or a Specialist? Which is Best? As a newly graduated professional, I wondered whether I should market myself as a generalist or a specialist. Of course, as a recent grad, I am certainly not an expert at anything yet. I certainly considered myself a generalist. As a creative, I’m drawn to things I don’t know much about. This passion has led me to become proficient in many skills. Liberal artists will tout about being “well rounded” and be quick to point out the successes of Renaissance men through history. However, when it comes to professional presentation, I’ve found that the generalist does not find similar favor with industry. I’ve come up with some reasons for why I think this is the case and I offer an explanation for why it’s in your best interest to specialize. Defined broadly, a generalist is one who is proficient in many skills often spanning multiple fields. Conversely, an expert is one who has comprehensive and authoritative knowledge in a specific field. From a hiring manager’s perspective, she’s trying to fill a role with the best possible candidate. In a world filled with generalists, the expert/specialist who fits the bill will always win. There are very few expert-generalists in this world and most of them are doing things like founding their 3rd company or leading Space X; not applying to jobs. What about those job postings which specifically ask for generalist qualities from creatives. It has been my experience that these postings come from smaller organizations looking for one employee to handle most of their creative pursuits. For reasons which will become clear, you might consider avoiding those roles for risk of branding yourself as a generalist. As a young generalist myself, I still have a handful of related skills which I enjoy doing much more than the others. This is where I have chosen to focus and work to develop an expertise. 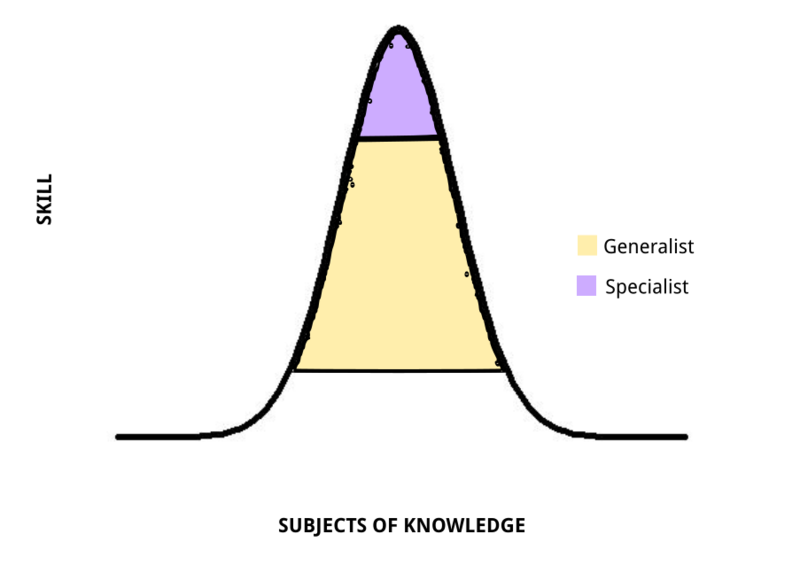 After beginning to do so, I’ve recognized potentially infinite gains from making the switch from generalist to expert. As a generalist, your positioning is based on your price – to be competitive, you will have to lower the price for your services. This is true whether working for an employer or a client. As an expert, your positioning is your expertise. To compete, you only have to prove more competence and authority in your field than the handful of other experts. An expert gets to charge more. Being an expert means you become an authority. This means that employers or clients will cede authority to you when it comes to matters of your expertise. Creative liberty can be very fulfilling. Choosing to specialize does not mean abandoning generality. Those who are especially driven can do both, though effort placed in deepening expertise may prove to be a better investment in the workforce than efforts placed elsewhere. I struggle with becoming disinterested in what I once found exciting. This is a struggle I find many creatives have and it is the feeling that drives the generalist. Picking a specialization is an important choice and one that should come naturally (maybe after some time pressure i.e. Graduation). They key is that what you specialize in should never bore you. For generalist creatives, this means refining your passion to that one field that perhaps underlies all your other passions.